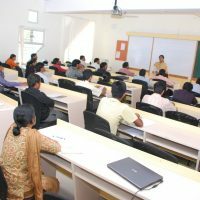 JSS Science and Technology University emphasizes and ensure the students in-depth knowledge base, professional skill and exposure to innovative technologies that empower strong intellectual base that serves our students for life. Popularly known as mini-Dasara of Mysuru, is the annual cultural festival of the University, entirely organised by the students, spearheaded by elected student representatives. JAYCIANA churns a buzz of activity in the final weeks of the term, driving students crazy to exhibit their hidden talents, skills organisational capacity. JAYCIANA is one of the most eagerly awaiting festival that enthrals more than 45,000+ audience comprising students fraternity, faculty and citizens of Mysuru. Serve the Mankind through Education. Come Explore at JSS STU. Taking part in sports at the University is a great way to keep fit, make friends and unwind after academic work studies. JSS S&T University has outdoor and indoor sports facilities including Gymnasium, Badminton, Table Tennis, Volley ball, Basket ball, Football and Cricket stadium. The Gymnasium station helps them to of their interest and keep fit and healthy for studies. Library and Information Centre was established in the year 1963, and now is one of the best engineering college libraries in the state. It started its function with a vision to serve the information needs of its users and it mainly holds books related to engineering and allied subjects. Advancing JSS S&T University as a leader in education, research and technology on the international arena. To provide the students a universal platform to launch their careers, vesting the industry and research community with skilled and professional workforce. Accomplishing JSS S&T University as an epicentre for innovation, centre of excellence for research with state of the art lab facilities. Fostering an erudite, professional forum for researchers and industrialist to coexist and to work cohesively for the growth and development of science and technology for betterment of society . 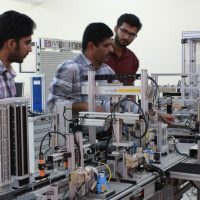 Education, research and social outreach are the core doctrines of JSS S&T University that are responsible for accomplishment of in-depth knowledge base, professional skill and innovative technologies required to improve the socio economic conditions of the country. Our mission is to develop JSS S&T University as a global destination for cohesive learning of engineering, science and management which are strongly supported with interdisciplinary research and academia. JSS S&T University is committed to provide world class amenities, infrastructural and technical support to the students, staff, researchers and industrial partners to promote and protect innovations and technologies through patents and to enrich entrepreneurial endeavors. JSS S&T University core mission is to create knowledge led economy through appropriate technologies, and to resolve societal problems by educational empowerment and ethics for better living.